1.Beat first 4 ingredients at medium speed with an electric mixer 2 minutes. Stir in coconut and pecans. Pour into 3 greased and floured 9-inch round cake pans. 2.Bake at 350° for 15 to 17 minutes or until a wooden pick inserted in center comes out clean. Cool in pans on wire racks 10 minutes. Remove from pans, and cool completely on wire racks. 3.Sprinkle each cake layer evenly with rum, if desired; let stand 10 minutes. 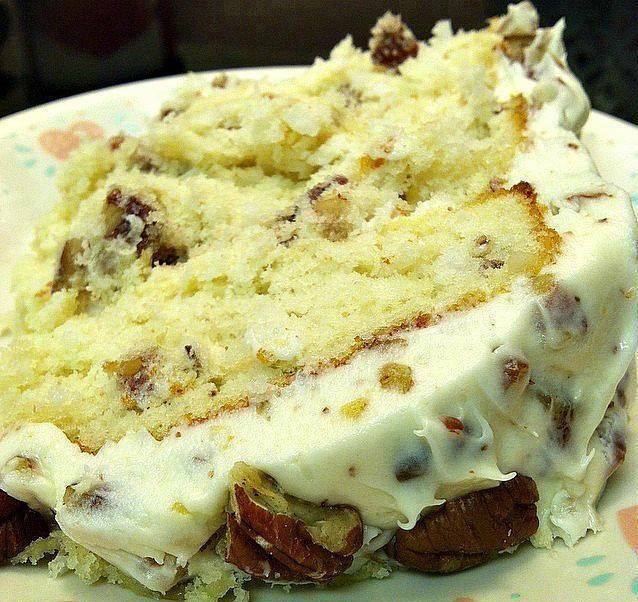 4.Spread Cream Cheese Frosting between layers and on top and sides of cake. Chill 2 hours before slicing.